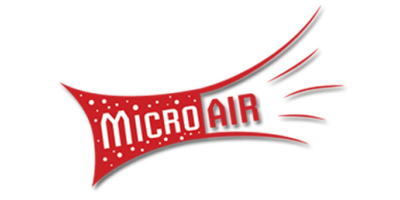 Since 1969, Micro Air has provided top quality dust collection equipment, industrial air cleaners, accessories, and filters, for the commercial and industrial manufacturing sectors. Micro Air Dust Collectors, Industrial air cleaners, Source Capture Arms, MISTMAX mist collectors, HYDROMAX wet collectors, and the new FORCE Dust Collectors are used to capture and remove indoor pollutants found in a multitude of industrial processes such as welding or cutting smoke & fumes, dust generated in blasting, grinding, sanding, polishing, or mixing processes, or odors and coolant mist. Micro Air ultimately provides a clean, safe workplace environment, maximizing productivity and efficiencies. Not only does Micro Air offer the broadest product offering, we support those products with an excellent service and support network, from our internal sales, support, manufacturing and engineering staff, to a second-to-none network of factory-trained Engineered Systems Distributors...you can rely on Micro Air to provide you with simply the best environmental equipment on the market today, at reasonable prices, excellent lead times to ship, and unsurpassed support before, during and after the sale. Why rely on Micro Air for your Clean Air Needs? Full Line of Ancillary Products ranging from fans, rotary valves, Intelli-Touch™ Energy Savings Controls, After-filters etc.